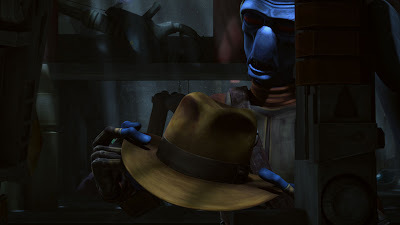 Bounty Hunter Cad Bane with Indiana Jones fedora. From The Clone Wars episode "Friends and Enemies". Click here for the preview of next episode "The Box".